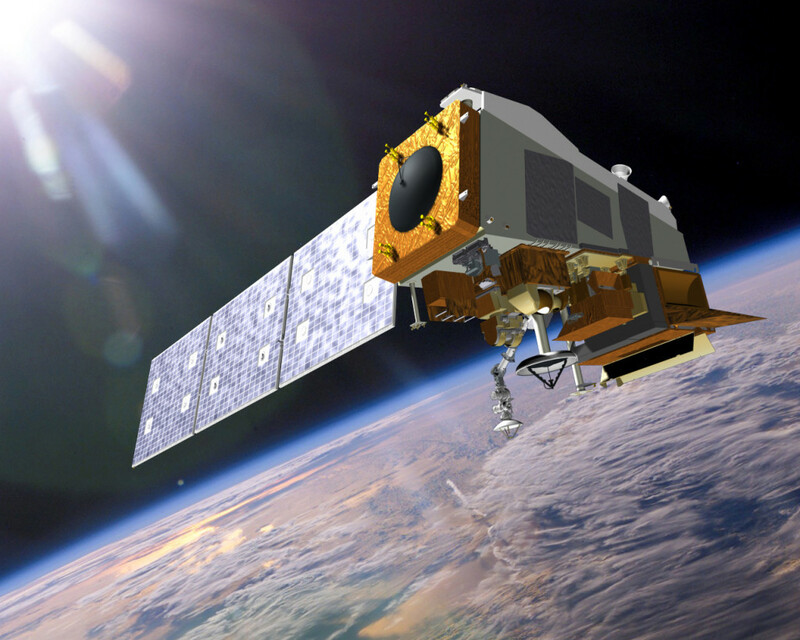 Artist’s concept of the JPSS-1 satellite. Image Credit: Ball Aerospace and Technologies Corp.
April 22, 2016 – Ball Aerospace has begun environmental testing on the U.S. National Oceanic and Atmospheric Administration’s (NOAA) Joint Polar Satellite System (JPSS-1) satellite. JPSS-1 will represent significant technological and scientific advancements in severe weather prediction and environmental monitoring and will further weather, climate, environmental and oceanographic science. Ball Aerospace is responsible for designing and building the JPSS-1 spacecraft, the Ozone Mapping and Profiler Suite-Nadir instrument, the integration of all instruments and performing satellite-level testing and launch support, under a procurement contract to NASA’s Goddard Space Flight Center, Greenbelt, Maryland. Environmental testing of the spacecraft and integrated instruments subjects the system to the simulated environments of launch and space to help certify mission readiness. The testing is underway in Ball’s Fisher Complex, Boulder, Colorado, in the same facility where the spacecraft was built and integrated. Following acoustic, vibration, and electromagnetic interference and electromagnetic compatibility testing, the satellite will undergo thermal vacuum testing from July through early fall. The thermal vacuum testing will expose the satellite and its five instruments to the extreme temperatures experienced in space. A pre-shipment review is scheduled to be held in the fall prior to the spacecraft’s shipment to California’s Vandenberg Air Force Base for its planned early 2017 launch.